Diameter: 26", Pitch Range: 16" - 21"
The award winning Gori 3-blade folding propeller for standard shaft sailboats gives a significant speed advantage over fixed blade propellers while sailing without sacrificing thrust when motoring. Gori 3-blade propellers can be fitted to sailboats with engines from 10 to 300 horse power. Please be sure to review the ordering instructions below before placing your order. 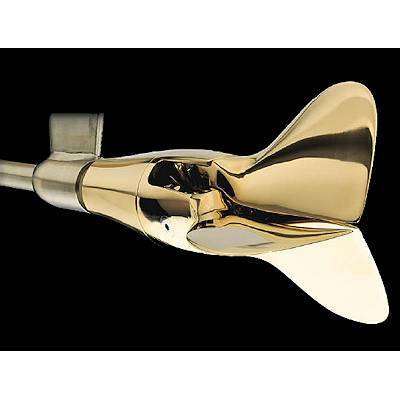 Gori racing propellers and propellers for sail-drives are available by special order. Please call: 800-628-8225 or e-mail orders@defender.com for assistance.